Hey, it’s ESXi upgrade time. Previously we have described many supported ways to upgrade VMware ESXi hypervisor. Via ISO or CD-ROM, or via vSphere update Manager (if you’re using vCenter server). However, if you want a really simple upgrade ESXi To The Latest Version Without Any Software Download, and without ISO or CD-ROM, just follow this guide. Upgrading ESXi to the latest version without any software download may be useful for standalone, isolated hosts. Or hosts which are used in some lab workloads. It can be hosts running the free version of VMware ESXi Hypervisor as well. However, this procedure is a supported way of upgrading by VMware (if you’re on support contract). Our procedure will work only if the host has an internet connectivity. For hosts which are isolated, you can always download the VMware vSphere Hypervisor (ESXi) Offline Bundle, place the file on an accessible datastore and proceed with an offline update. Note: If you’re on uncertified hardware, which has unsupported NICs, you might be interested in a fact that there is a way to revert back in case you lose network connectivity after the upgrade. Check our article about How to revert back ESXi version. If you’re experienced VMware user I think that you already know your way, but this post is meant to be for users or admins starting with virtualization. Now, let’s get back to our Upgrade ESXi To The Latest Version Without Any Software Download procedure. We’ll need to make sure that all VMs are shut down before we proceed with the upgrade. Step 3: change back the firewall rule. You should see a very long list of vibs getting installed, and at the very top, you should have a message saying that the host must be restarted. Step 4: Restart the host. You have successfully upgraded the host to the latest ESXi version without any software download or without going to VMware site to fetch the ESXi offline bundle. It’s pretty convenient, but as being said, it’s rather suitable for isolated ESXi hosts without being managed by a vCenter server. What’s New in ESXi 6.7 U1? ESXi 6.7 Update 1 adds a Microsemi Smart PQI (smartpqi) LSU plug-in tо support attached disk management operations on the HPE ProLiant Gen10 Smart Array Controller. ESXi 6.7 Update 1 adds Quick Boot support for Intel i40en and ixgben Enhanced Network Stack (ENS) drivers, and extends support for HPE ProLiant and Synergy servers. For more information, see VMware knowledge base article 52477. ESXi 6.7 Update 1 enables a precheck when upgrading ESXi hosts by using the software profile commands of the ESXCLI command set to ensure upgrade compatibility. ESXi 6.7 Update 1 adds nfnic driver support for Cisco UCS Fibre Channel over Ethernet (FCoE). ESXi 6.7 Update 1 adds support for Namespace Globally Unique Identifier (NGUID) in the NVMe driver. ESXi 6.7 Update 1 adds APIs to avoid ESXi host reboot while configuring ProductLocker and to enable the management of VMware Tools configuration by the CloudAdmin role in cloud SDDC without the need of access to Host Profiles. ESXi 6.7 Update 1 adds the advanced configuration option EnablePSPLatencyPolicy to claim devices with latency based Round Robin path selection policy. The EnablePSPLatencyPolicy configuration option does not affect existing device or vendor-specific claim rules. You can also enable logging to display paths configuration when using the EnablePSPLatencyPolicy option. With ESXi 6.7 Update 1, you can use vSphere vMotion to migrate virtual machines configured with NVIDIA virtual GPU types to other hosts with compatible NVIDIA Tesla GPUs. For more information on the supported NVIDIA versions, see the VMware Compatibility Guide. With ESXi 6.7 Update 1, Update Manager Download Service (UMDS) does not require a Database and the installation procedure is simplified. Check the latest release notes for further information from VMware. 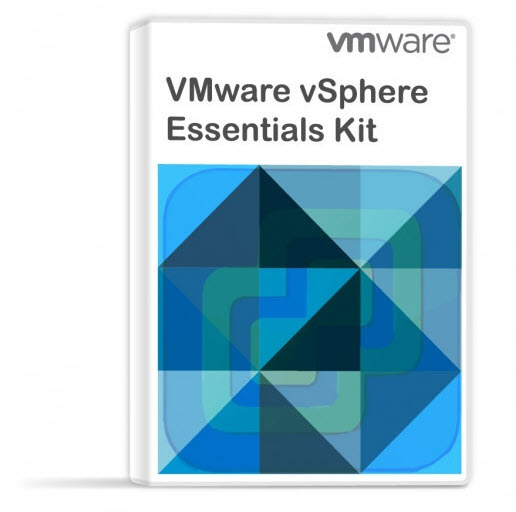 VMware vSphere 6.7 U1 Essentials – Good way to start, for small shops. What is ESXi Compatibility Checker? What is VMware Orchestrated Restart? From which version of (free esxi) is this method supported? This isn’t new at all. It does exists since a long time. I cannot tell which version. Your title and article both state, “without software download”, yet in step 2, there’s a download of software that takes at least a coffee’s worth of time to acquire. The article means was about not downloading any software to your management station before proceeding the upgrade. (vCenter server with vSphere Update manager, ISO of ESXi, or such.